Todd Bishop (b. 1967) has been performing, teaching, and recording professionally in the US and internationally since 1985. He has led jazz, avant-garde and indie rock groups and produced seven CDs of his original music for Seattle’s Origin Records, and for independent release. Since 2009 he has done four European tours with his jazz quartet, the Todd Bishop Group. 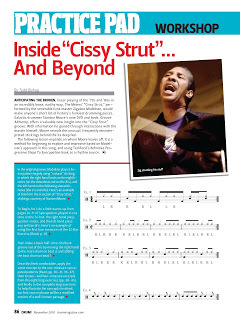 Bishop is also a prolific drumming writer, author of CRUISE SHIP DRUMMER!, a leading drumming web site, as well as seven print books, and a further seven e-books of drum transcriptions. 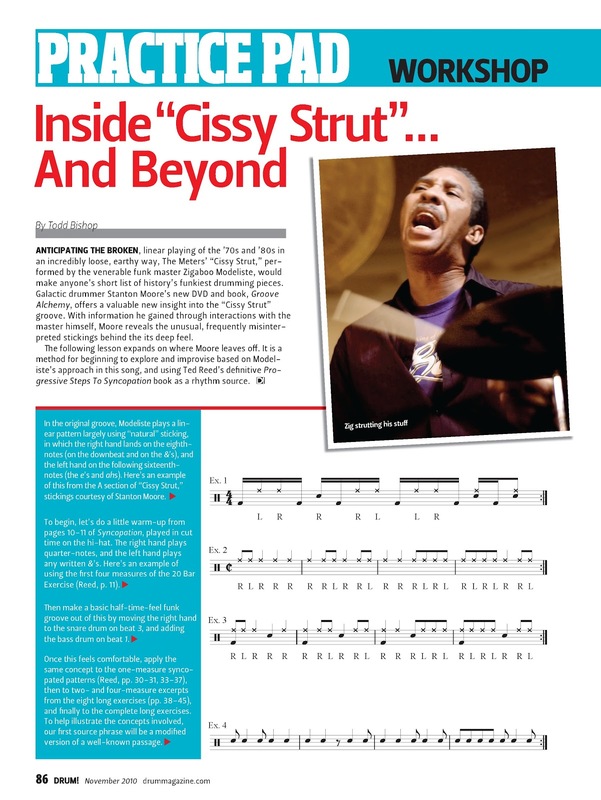 He has had three articles published in Drum! Magazine. He studied classical percussion with Charles Dowd at the University of Oregon, and, under scholarship, jazz studies with Gregg Field (Count Basie) and John Thomas (Woody Herman, Chick Corea) at the University of Southern California. He also completed six national tours with DCI-affilliated drum and bugle corps, including, in 1986, the famous Santa Clara Vanguard, which finished second nationally that year. He was instructed by drum corps greats Ralph Hardimon, George Tuthill, and Fred Sanford, as well as leading rudimental specialist Alan Keown. 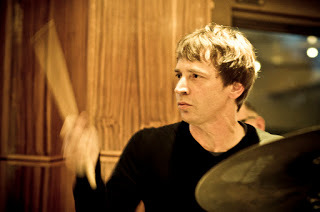 He is the younger brother of veteran Seattle drummer John Bishop, a major force in jazz in the Pacific Northwest through his Origin Records label (Jazz Week’s 2009 Label of the Year) and the annual Ballard Jazz Festival. He is a nut about the city and history of Rome. In the late 90’s he did a series of paintings based on Roman portrait sculptures. He has a small collection of Roman artifacts, including coins of Claudius and Nero, and a rather rude amulet. Since 1999 he has made five trips to the Eternal City. Earliest musical influence: Stan Freberg’s musical parodies, and Frank Zappa’s Apostrophe. Started his marching career in the 7th grade carrying a 50-pound marching vibraphone. Is also a gifted visual artist as painter, photographer, and graphic designer. Cooks a mean pozole, sourdough waffle, and UP Michigan pastie. Had long curly blond Peter Frampton hair in the 10th grade. Under the specific guidance of drum corps legend Ralph Hardimon, destroyed a 36″ Paiste gong and several mallets playing the finale of Mussorgsky’s Pictures At An Exhibition during the Santa Clara Vanguard’s 1986 season.